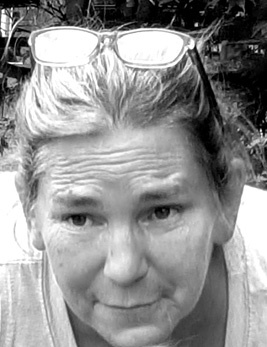 EAST LIVERPOOL–Portia Cogar, 53, of East Liverpool, Ohio passed on Sunday, March 17, 2019 at her residence. She was born in Montpelier, Oh on June 9, 1965, the daughter of Richard and Wilma Cramton Kurtz. She was a graduate of New Hope School in Camden, Michigan. She had been employed by the Garfield Elementary School in Wellsville as a cook and crossing guard, had worked at Long John Silvers as well as Dollar General where she was loved by her staff and customers. Loving memories of Portia will be carried on by her husband, Terry Cogar, whom she married on Nov. 25, 1993; her four children, Dalton Kurtz-Cogar, Christian Cogar, Shay Cogar and Starlynn Cogar; her three grandchildren, Johnathan Cogar, Elena Kurtz-Cogar and Brayden Cogar; her sister, Pam (Cary) Comstock; her brothers, Paul (Kris) Kurtz and Phil (Robin) Kurtz; many nieces and nephews; great nephew and best friends, Terri and Tracy. She was preceded in death by her parents, Richard and Wilma Kurtz and her brother, David Kurtz in 1952. A Celebration of Life service will be held on Saturday, March 23, 2019 from noon to 3:00 p.m. at the Avondale Church in East Liverpool with a luncheon to follow. In lieu of flowers, monetary donations may be made to the family to help defray expenses. Please visit www.oakmeadowcremation.com to send condolences to the family.